MPSC Tax Assistant Previous Papers: Are you preparing for the MPSC Tax Assistant Previous Papers? Then definitely you will be in need of MPSC Tax Assistant previous papers. The MPSC Tax Assistant Previous year question papers are available here and candidates can download them in the below. For the candidates who are about to give Maharashtra Public Service Commission exam will be provided with all the help here. Go through the complete article, and at the end, you will get the complete idea over MPSC Tax Assistant examination. A huge number of candidates are presently in search for Maharashtra Public Service Commission and can utilize the opportunity. The Qualified candidates in the MPSC Tax Assistant Examination will be placed in Maharashtra Government Jobs. 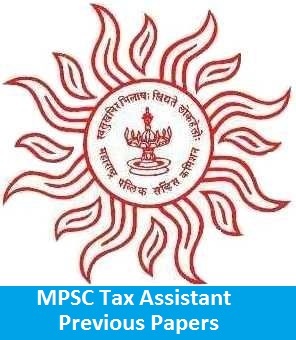 Many candidates have utilized the opportunity by opportunity by applying with MPSC Recruitment Notification for the post of Tax Assistant Group B Vacancies. The Advertisement makes clear that they were seeking for 296 candidates to fill the vacancies. This is a huge opportunity for job seekers. Maharashtra Public Service Commission organizes a written test to select the capable candidates for the post. Intenders who applied with the MPSC Tax Assistant Recruitment has to give a test in which they have to get qualified. In order to get selected, they must have to prepare well. In order to help the Applicants, this article was equipped with MPSC Tax Assistant Previous Papers. In addition to this MPSC Tax Assistant Exam Pattern was provided to make the candidates clear about the exam. More Maharashtra Public Service jobs are available at www.allindiajobs.in. Maharashtra Public Service Commissions Notifications have attracted interest for a huge number of candidates. Applicants were about to give the exam and must be aware with the MPSC Tax Assistant Syllabus. Utilize the provided information and make necessary hard work in order to get places in MPSC Tax Assistant. Practice the MPSC Tax Assistant Previous Papers and Exam pattern will make candidates clear with the details of Exam Type, Duration of the exam etc. you can check MPSC Tax Assistant Exam Pattern given below. The MPSC Tax Assistant Exam Pattern will be provided below in order to help the candidates to be aware of the exam mode. Before attending the examination candidates must be knowing about Exam Pattern as it will add some useful knowledge. The number of questions given will be 200. The total number of marks is for 400. Duration of the exam is for 120 minutes. Exam paper will be given in English & Marathi. All the candidates who had applied for the MPSC Tax Assistant Vacancies have to face the written test and personal interview as the part of the selection process. The MPSC Tax Assistant Model papers were provided in the below with direct links to access them. Candidates can make preparation effective by utilizing these previous papers. By solving MPSC Tax Assistant previous papers candidates will be aware of the important topics in the examination. we have gathered all the information by making reference with the mahampsc.mahaonline.gov.in. Candidates can also visit the Official website to get more information. Hope the provided information was useful. All the Best. 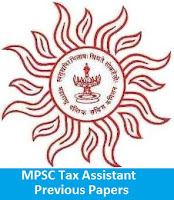 For more updates about the MPSC Tax Assistant Previous Papers keep checking our website www.allindiajobs.in.